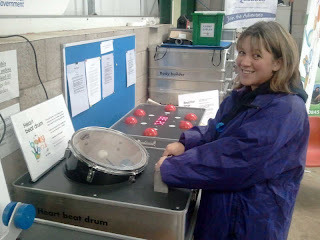 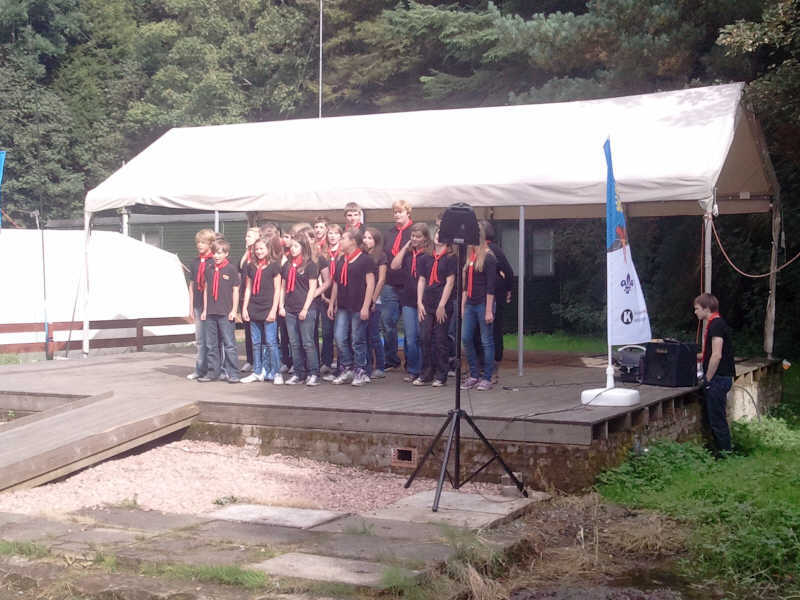 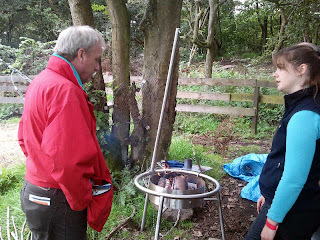 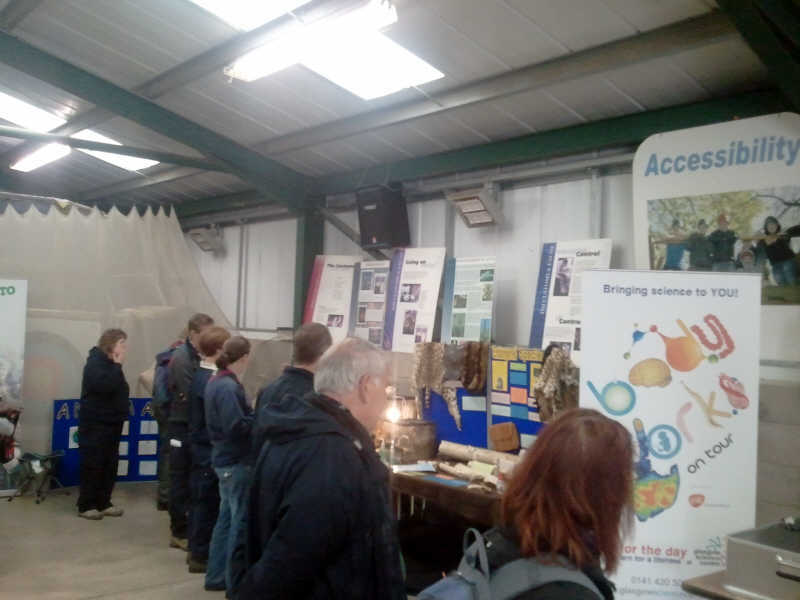 Two weekends ago the centre was host to 'Acceler8', a Scottish Headquarters open day for Scout leaders/adult volunteers. 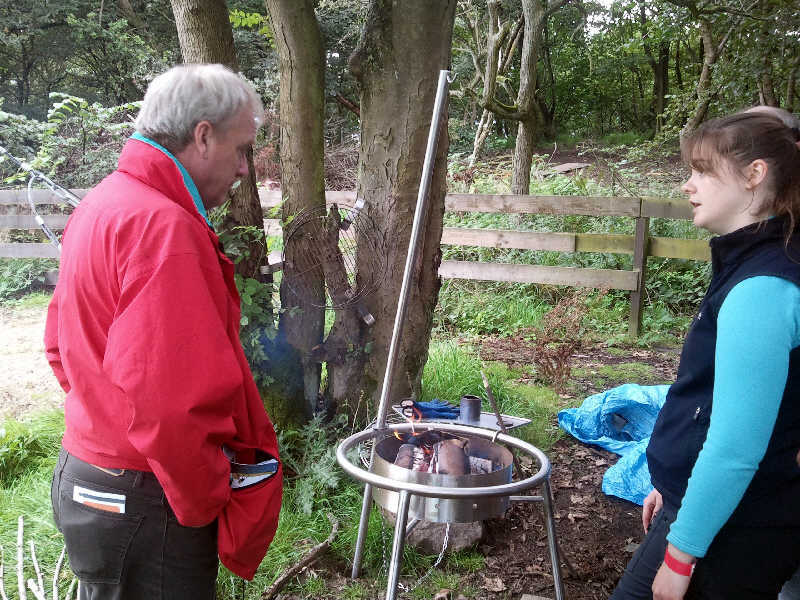 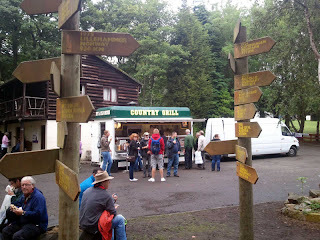 The event aimed to bring together a huge number of different Scout support teams (including our Fordell staff), Scout campsites, outside charities and organisations and commercial exhibitors as well as provide partcipants with the chance to try out lots of the Fordell activities. 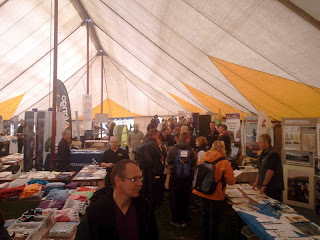 Around 80 of the visitors were staying at the centre on the saturday night, and there was a campfire followed by a live band in the main marquee later on. 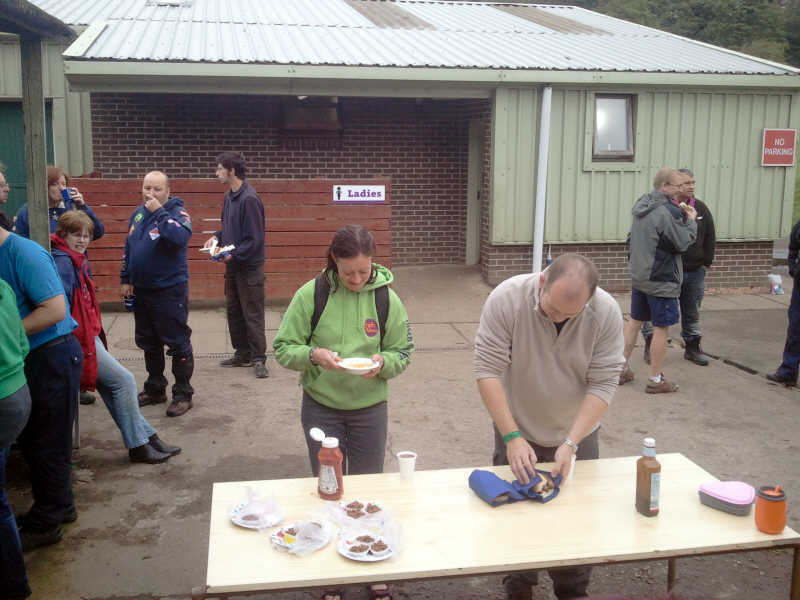 On the sunday morning the Fordell Active Support team were up bright and early to cook breakfast for most of those who stayed over and raise some funds for themselves in the process. 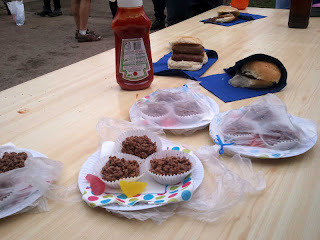 On the menu were bacon and sausage rolls, with an optional extra of either chocolate crispy cakes or beefburgers (which had been kindly donated by a scout group who were leaving that morning). Sadly, there wasn't a great uptake of the beefburgers or crispy cakes, although a few of the diners did sample them. Above : Breakfast in full flow on the sunday morning outside the staff hut. Above : the only breakfast in Fife where chocolate crispy cakes are standard. 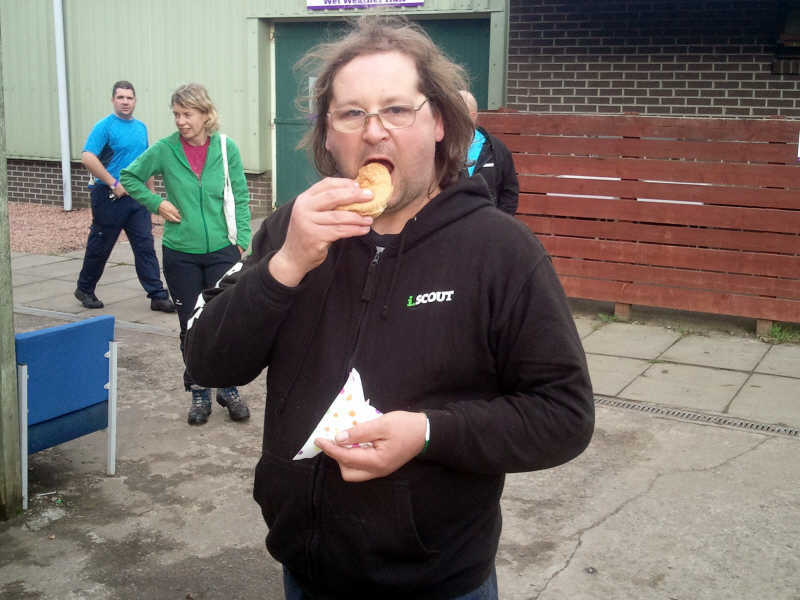 Above : A satisfied customer about to eat his 67th burger roll. 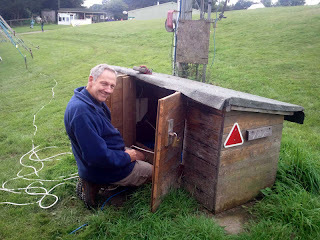 Above : Due to cutbacks, Pete and the radio club have had to move to a slightly smaller meeting hut. 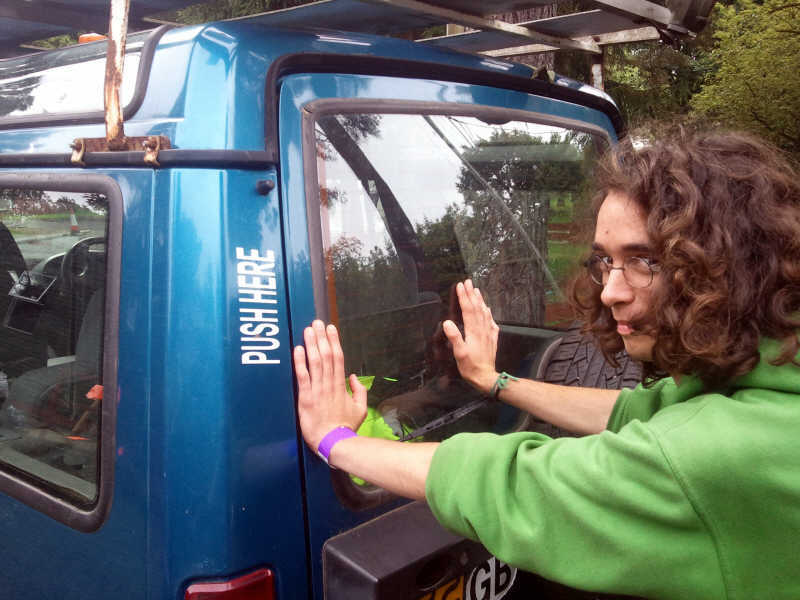 Other news, and Bob's managed to source yet another Land Rover - this will replace one of the older ones which was getting a bit tired (it'll just be used on site to move trailers around, etc). 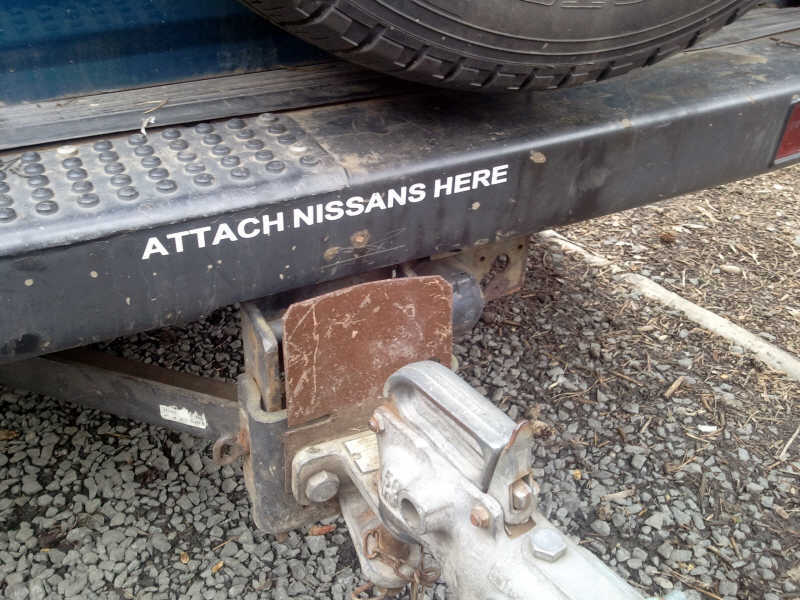 Above : New Landrover already prepared for towing Stevie's car. Above : Pol attempting to push the Landrover to Paris to raise funds for charity. 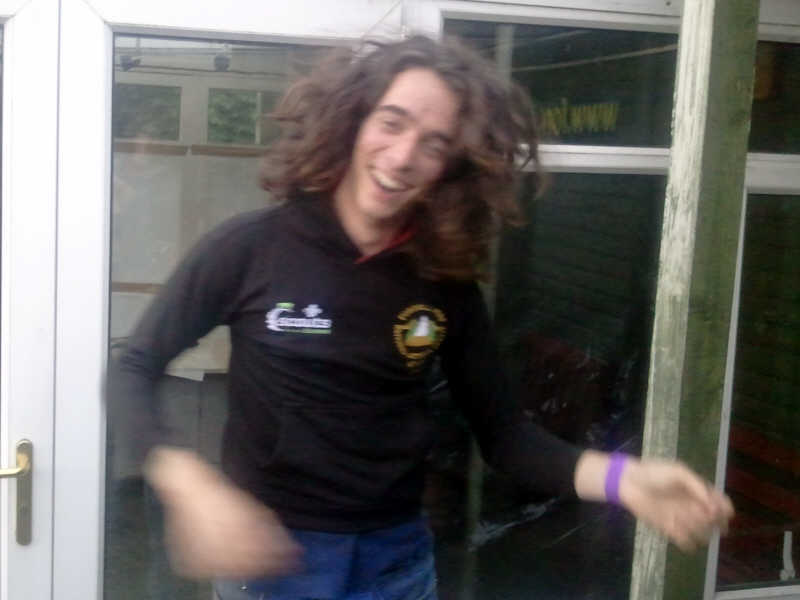 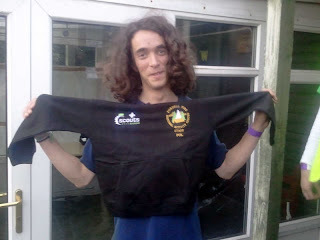 Above/below : A delighted Pol with his new baggy staff hoodie. 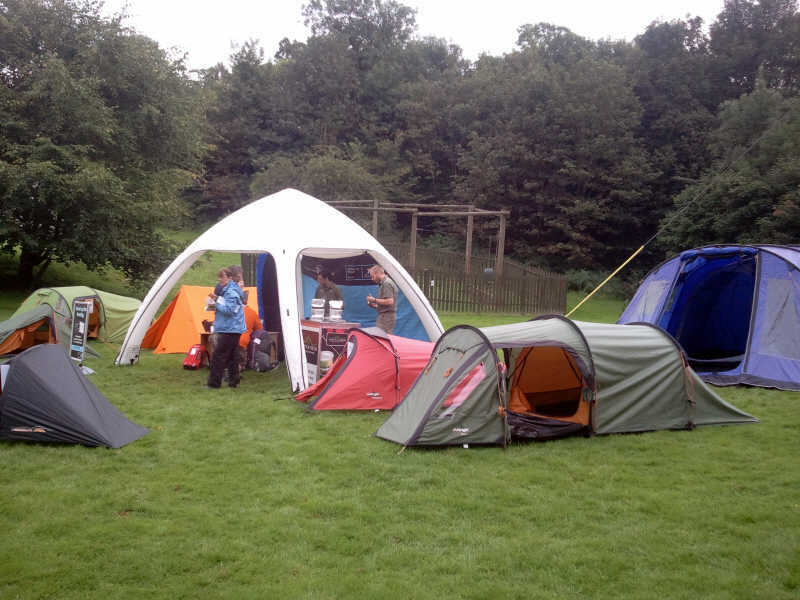 More news in a few weeks - that's us now into September but things are still looking busy at weekends with lots of groups in for camps/activities. Coming up later in the year we also have the usual GNAS archery training/assessment courses and our first aid course too.